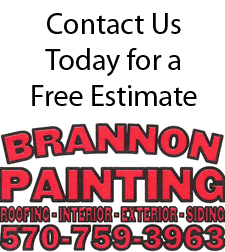 Brannon Painting LLC Why choose us? Brannon painting excels in keeping the job site clean with end of the day site clean ups, and a major clean up at the end of the project. All of our employees are trained to give your home the five star touch. This ensures that the only thing that’s noticed with your project is the beautiful new paint. Brannon painting recognizes the importance of completing a project on time. We are committed to completing the job on time. We pride ourselves on treating every client with the utmost respect and value. When you set out on a paint project, budget is a key aspect. We will stay within the budget that you set.